Is it time to give overnight hiking a go? So you’ve been doing day walks for a while now, you enjoy them but you feel that you are missing out. Your friend’s keep on raving about the amazing trips that they’ve done but you’re not sure if you’re up for the change to overnight trips. This article is an overview on making the transition from day hikes to overnight trips where we will look at basics that you will need to think about. Considerations such as weather, gear, food preparation, site selection, as well as the all important issue of ‘Where do you go to the toilet?’ Hopefully this will ease your concerns about the change to overnight trips and answer any questions you may have. 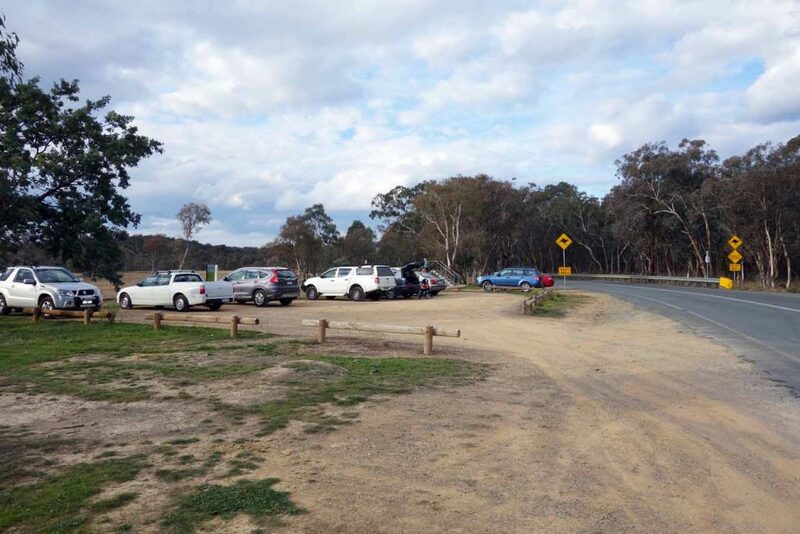 This article is linked to Australian Hiker Podcast episode#26, the Northern Campground Trail review, as well as to Australian Hiker Podcast episode #27 where we talk you through the steps for a trip suitable for first timers in real time. Do it with a friend or a group who have done it before, they can help you with all the logistical issues, can probably lend you some equipment and can teach you what to do around camp and on the trail. 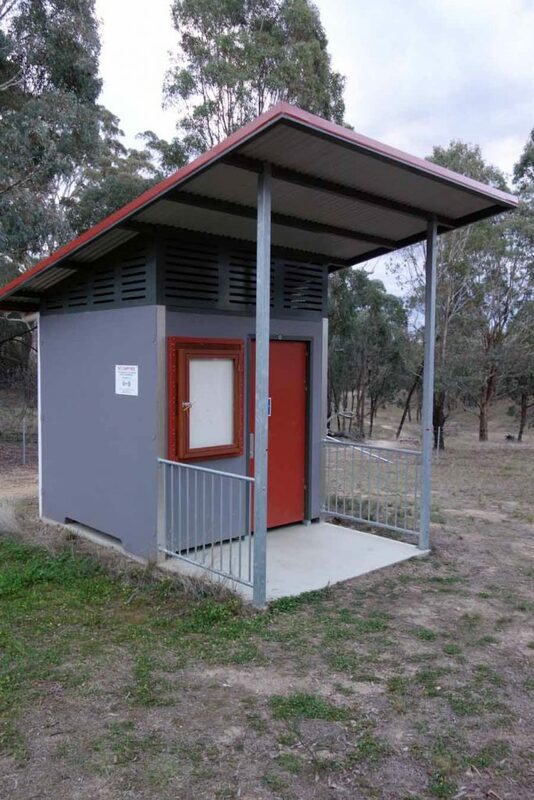 Hike to a location that you know very well from your day trips, preferably one where there are toilet facilities. Overloading yourself which too many new experiences can be off putting. By using a well know site you will minimise any anxiety. 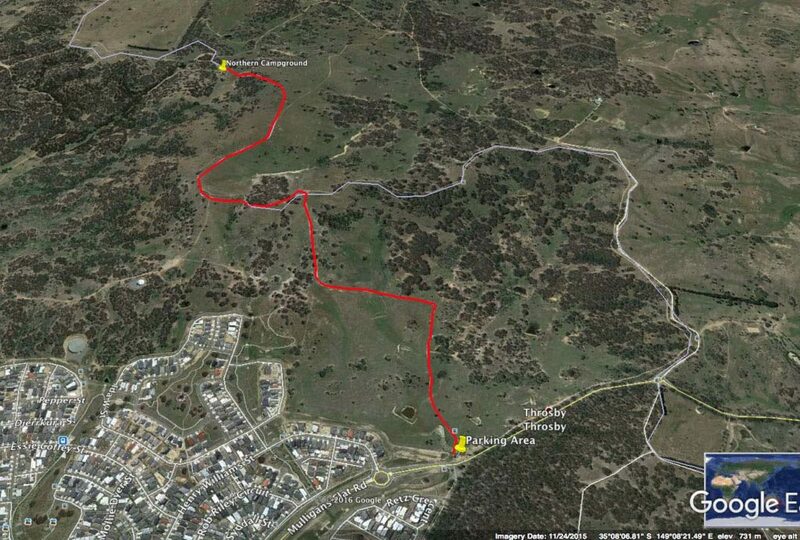 Preferably choose a site for your first overnight foray that has toilet facilities and also has mobile phone coverage. Don’t choose a site where you need specialist navigation skills unless you already have them. Hike within your limits, in this case make it really easy. Pick a date that suits and where you wont be rushed. While experienced hikers wont be to fussed if the weather isn’t perfect choose a night where you know the weather will be good so you wont have to deal with the added logistical issues of dealing with rain, extreme cold or high winds. It takes a while for a hiker to be able to build up a layering system to an extent that they know exactly what components go together to suit specific situations. Park you car, car camp, or get dropped off? These are all suitable options so do whatever works for you. Will you be camping with more experienced hikers who have done this before and who can step you through the process? Is this going to be a solo trip or with another hiker, be it friend or partner, who has also not camped? You/your partner are responsible for the trip and if you don’t have friends that can help you plan talk to your local outdoor store that will usually be very happy to help you out. Sleeping bag- needs to be warm enough to suit the expected conditions of the hike. Again borrow is best if you don’t own one and go a bit warmer than you think you will need. Lighting– You need a reliable torch but it doesn’t need to be one specially made for hiking. You can purchase that later. One light/person is a must. Be sensible and work out what you will eat for dinner and breakfast and also remember snacks. As you are only going overnight treat yourself with your favourite treats e.g. cheese, chocolate, etc. 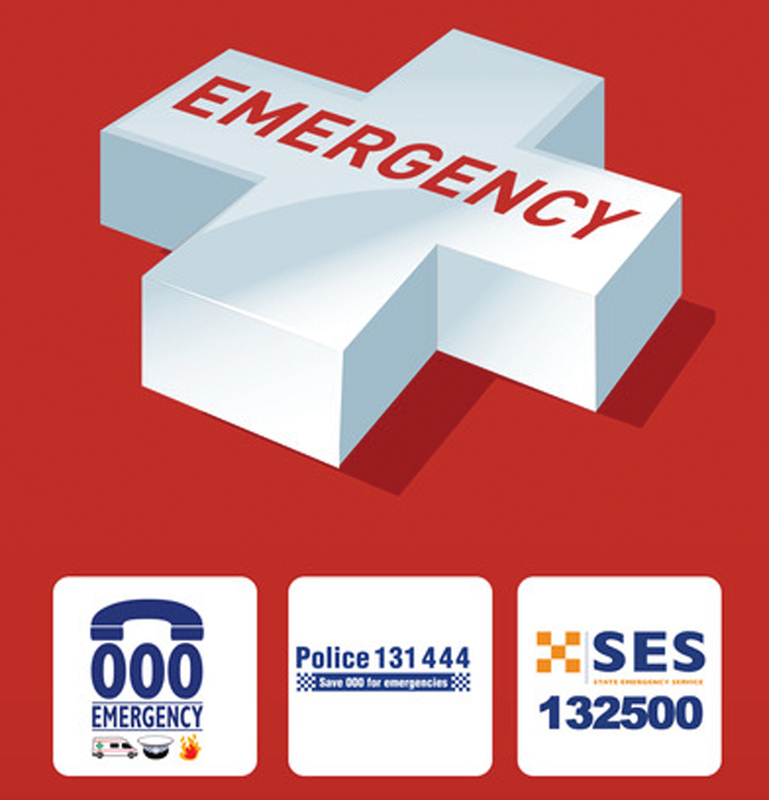 Download the emergency+ phone app just in case. This is a good app to have on your phone at any time, not just for hiking. Water- Pick a site that has access to water either from a tank or a stream. 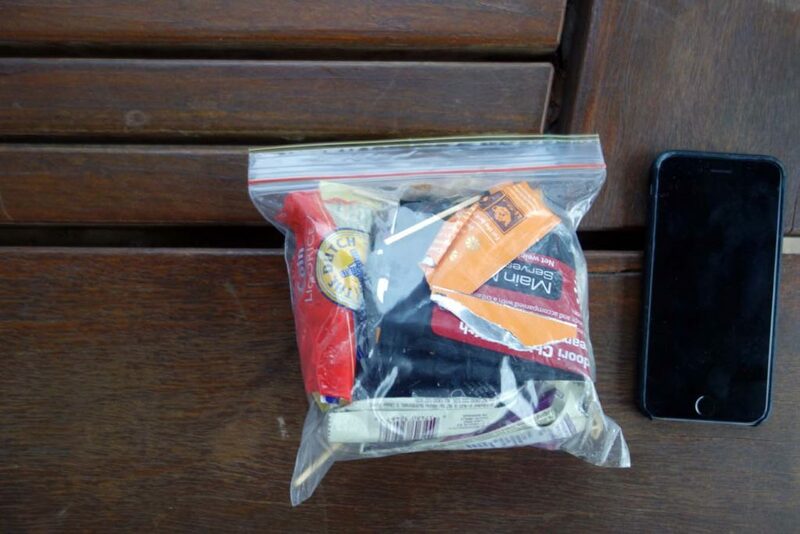 Alternatively bring what you need. Consider a water filtration bottle, its an easy option to filter water. You may choose not to treat or filter the water but I have had Giardia before and I don’t wish to repeat the experience again. 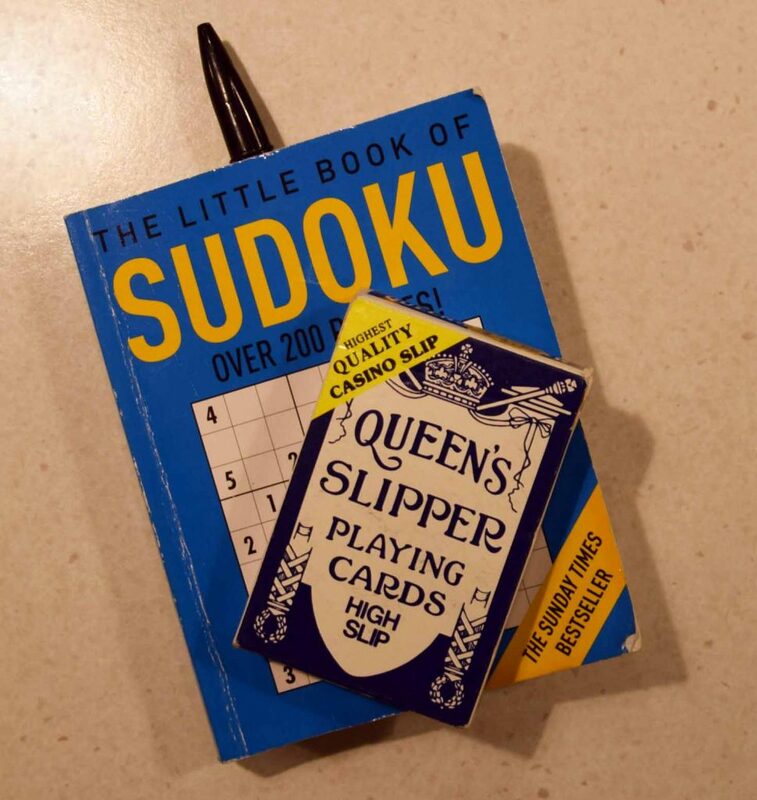 Bring a book, a deck of cards, puzzle book. Or maybe you are just happy to talk? If you can be bothered camp in your backyard. Confirm the weather conditions one last time. Don’t be afraid to cancel the trip if its not looking good. Check the health of the participants. Again if you aren’t well, don’t go. 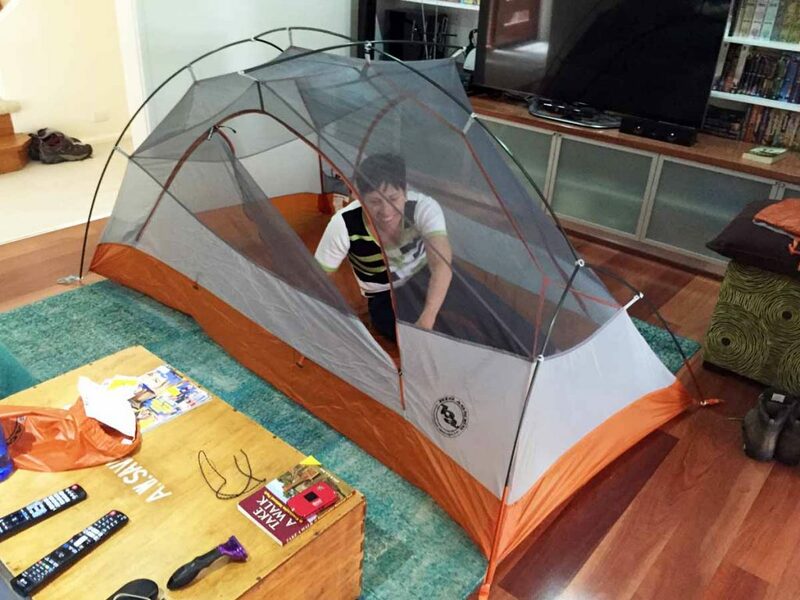 Tent set up inside the house. This meant that the first time we set up on the trail that is was very easy. Flat ground, smoothish ground. 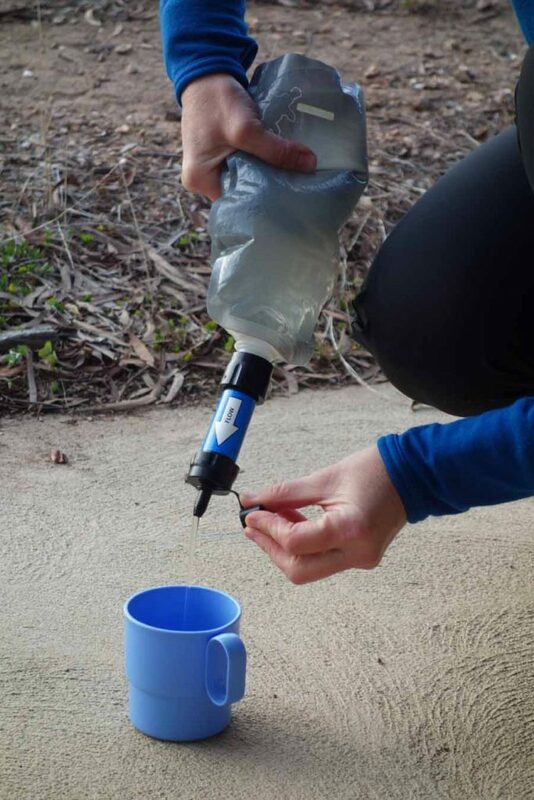 Get rid of any rocks, sticks and sharp objects from underneath your tent. If you are on a slope sleep with you feet down hill. Sleeping with your head down hill gives me a headache and sleeping with the slope across your tent means that you end up one the side of the tent. Don’t sleep under dead tree branches; they fall! Avoid large trees branches even if alive; they can fall! Look for shelter from any prevailing or potential wind. 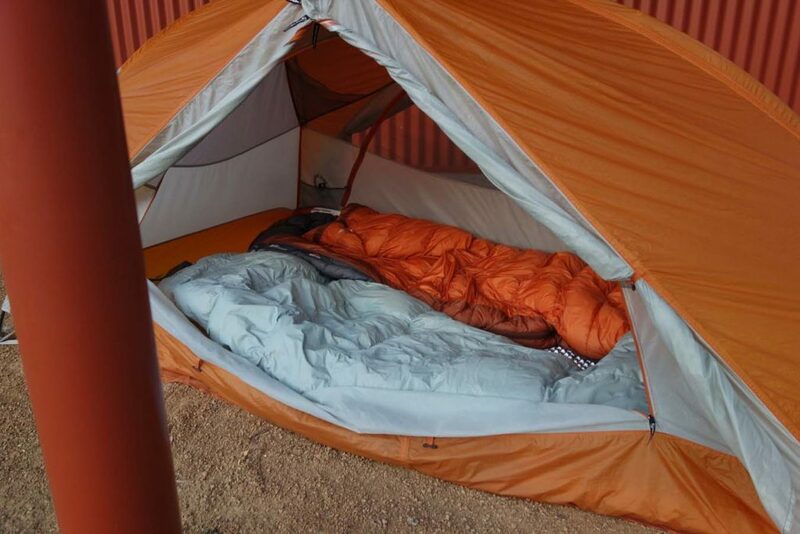 Set up your tent as well as your sleep system while its still light. Set up your camp kitchen preferably before dark so that you are ready to go. Do leave food out as the wildlife may make off with it. What’s happening with water? Are you filtering? Work out what the toilet system is. Are you using the facilities provided? Do you need to dig a cat hole? So hopefully you have an enjoyable successful hike on your first attempt but don’t be disheartened if things go wrong. Remember that this is a learning curve and even some 40 years on from my first overnight trip I still make mistakes and I’m still learning. Slowly build up the complexity of your hiking trips. If you went with a group first time look at progressing onto solo or couples trips. I must admit for me as much as I love meeting new people my ideal hike is either with my wife or or by myself as I love the solitude which you just don’t get with larger groups. Having said that the group thing may be your cup of tea and what gets you on the trail. Whatever it is that drives you just get out there and enjoy yourself! 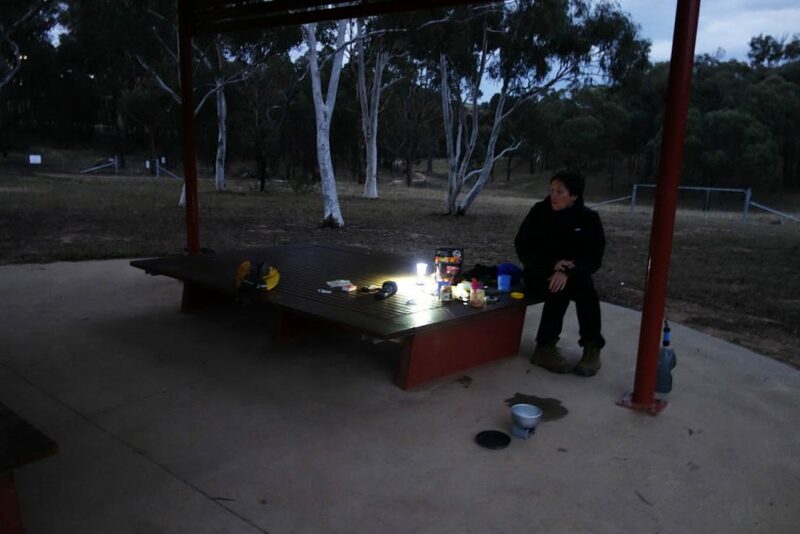 Australian Hiker Podcast Episode 035 Which light for hiking?